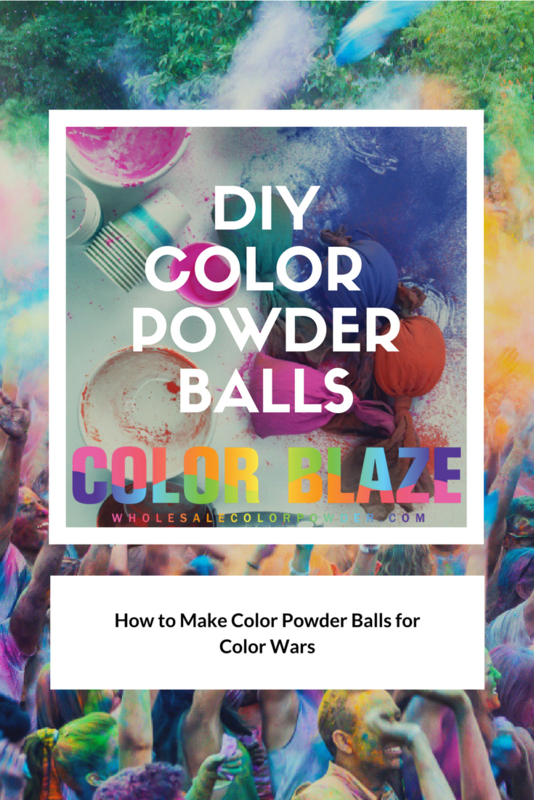 Our Color Powder Party Ideas bring an average afternoon into the epic zone very quickly. That quick escalation makes kids go nutty! 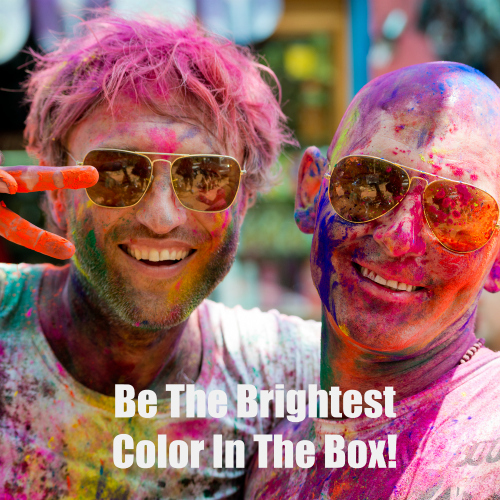 Fun is messy, and not always pretty, but with color powder, fun is always beyond their wildest dreams! 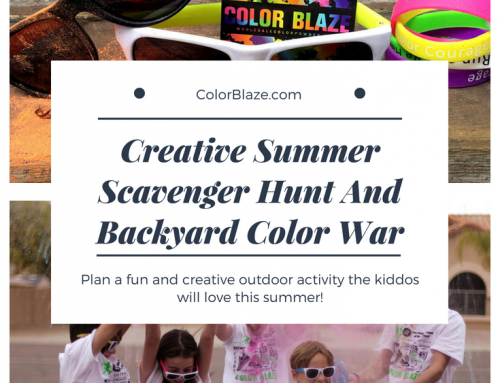 Could your outdoor fun use a colorful makeover? 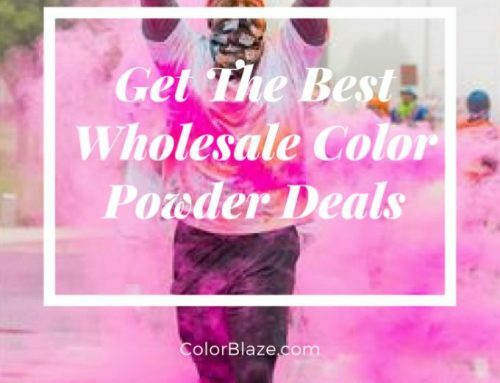 Color Blaze color powder offers so many creative color powder party ideas for regular moms to impress themselves and their kids! 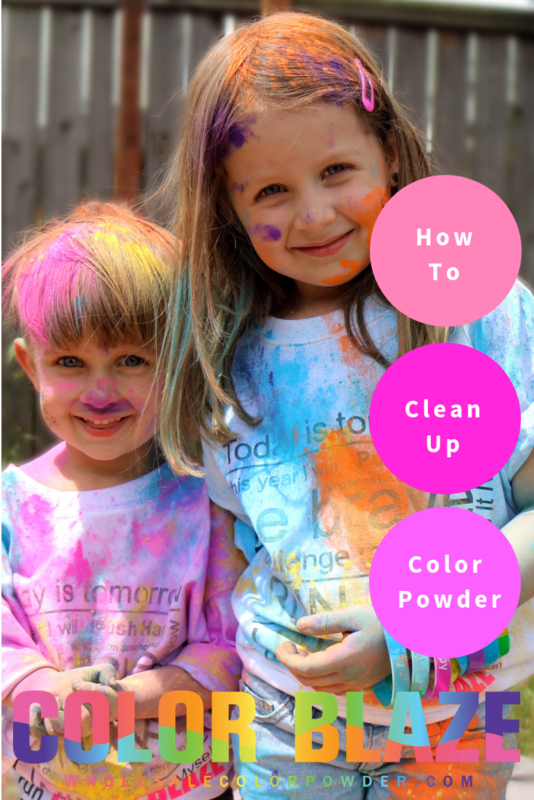 The opportunities to have fun with color powder are nearly endless! 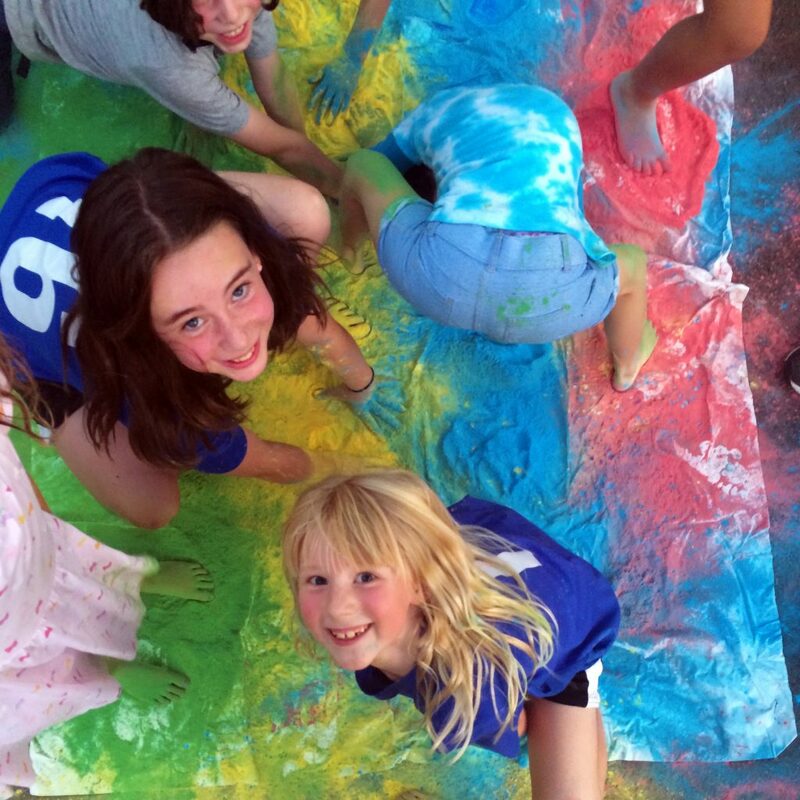 Here’s what I did at a recent neighborhood block party – Color Powder Twister! 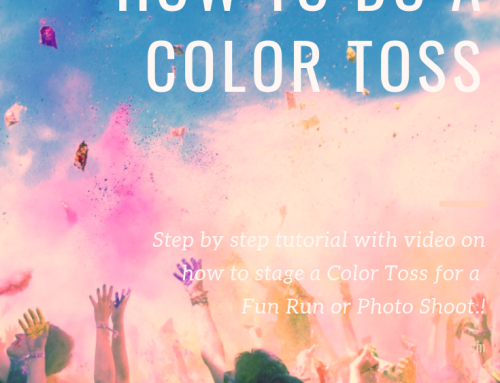 The idea is simple in that you play the tried and true game of Twister with all the tools and rules as prescribed, however, you add color powder to each of the floor mat circles. This way when players struggle to reach or stretch to their next move, the challenge is brighter and the falls end in rainbows. 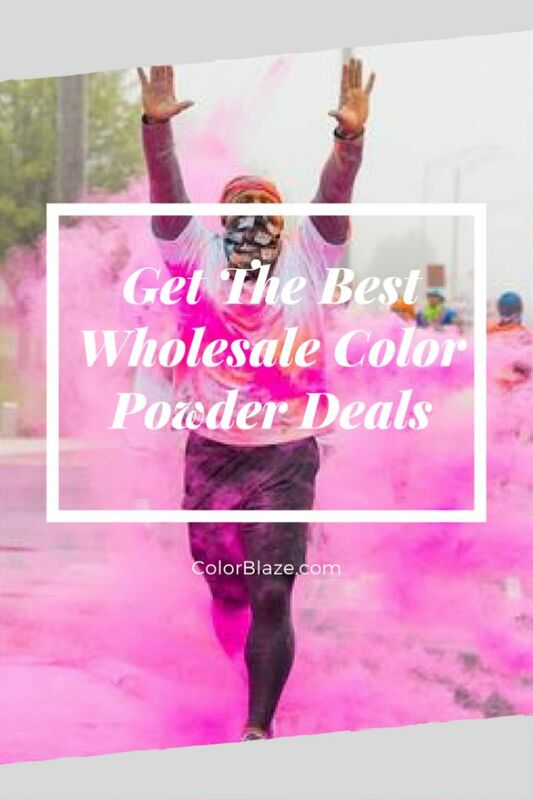 Order Color Blaze Bulk Color Powder. 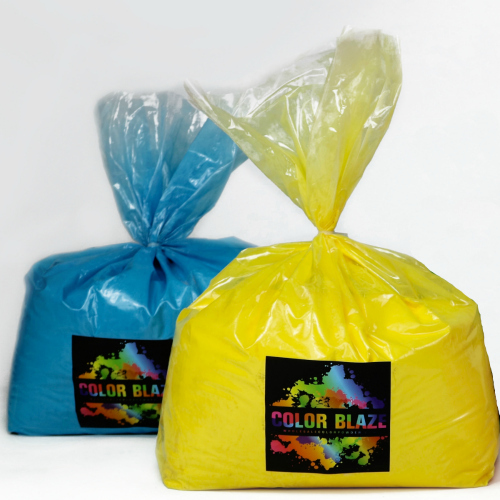 Color Blaze Color Powder Duo 5 pound bags are a great option for this activity you select each of the colors. We ordered one set with red and yellow and the other with blue and green, thinking we would get 5-10 games out of the 20 pounds of color. We were having a neighborhood block party with about 15 kids. I planned on taking turns playing as only about 4 can fit on the mat at a time. However, I realized very quickly that was just not possible. Every kid wanted to be involved IMMEDIATELY! Next time, I will bring multiple Twister mats and place them together to make one giant game that all can be a part of. 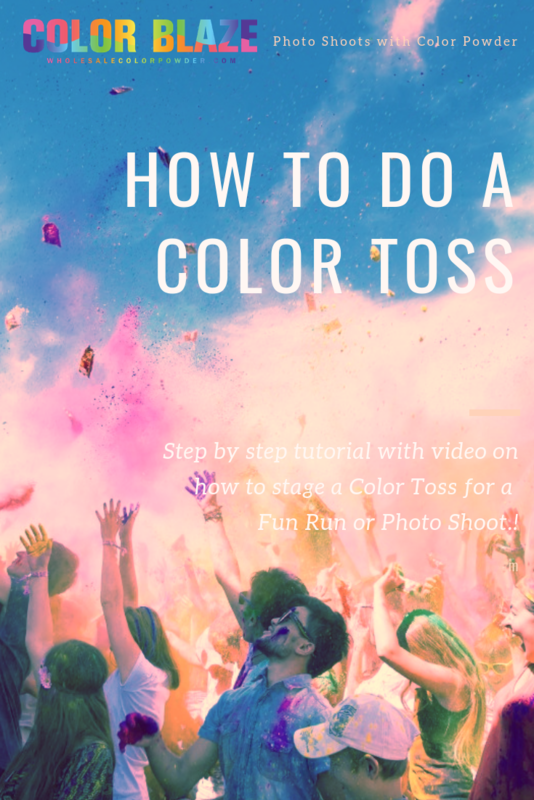 Or another idea is not to use the mat at all and just pour giant circles of color powder on the lawn! 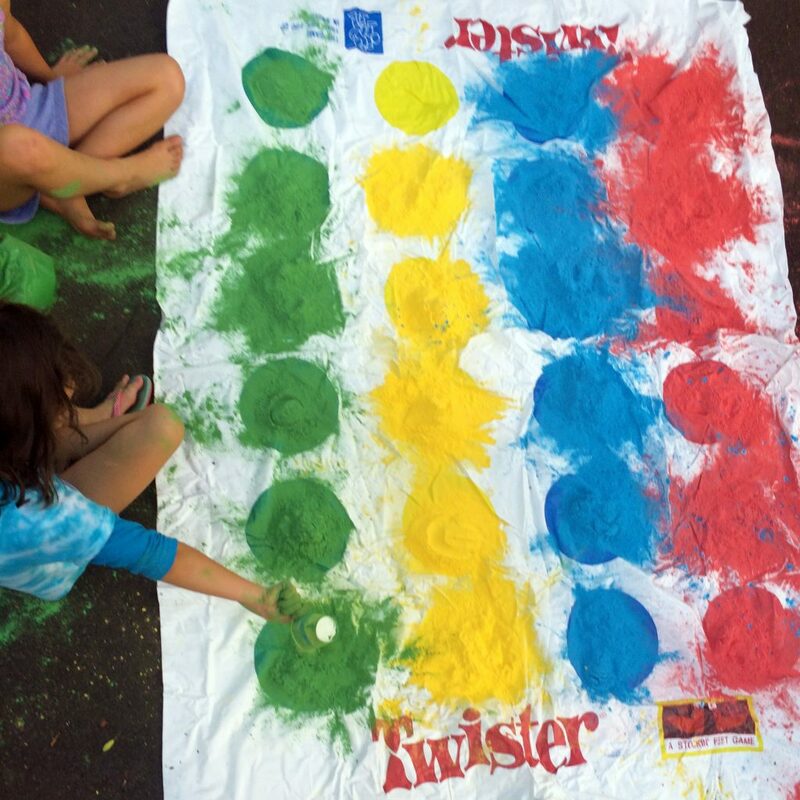 Fill each Twister Circle with color powder. Of course the kids wanted to help with set up so I gave them small paper cups and a bag to match the powder with the circle color. 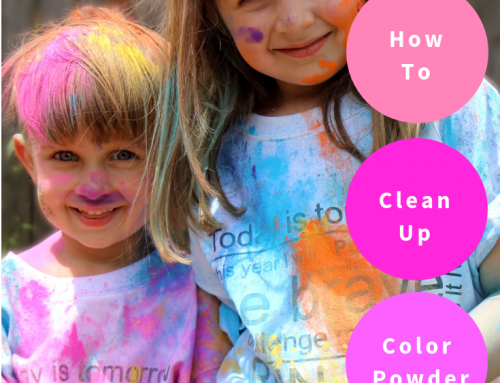 Turns out that placing the powder neatly on the circle is not the easiest thing for little ones to do, but they did their best to make it look beautiful! And it’s all about the fun! One kid volunteered to be the spinner and announcer while all the others jumped into the game. 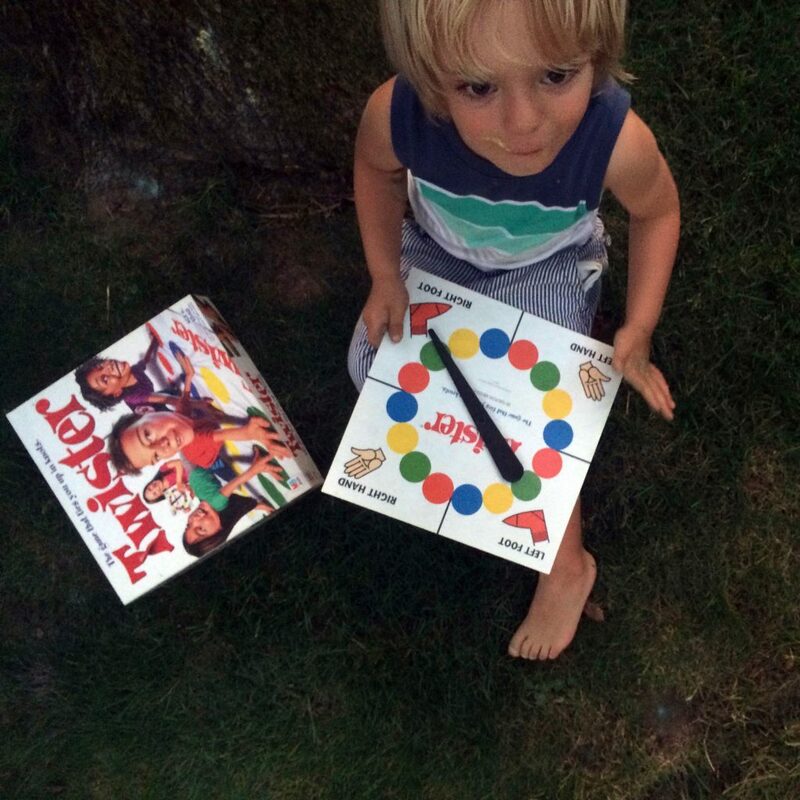 Although they tried playing by the rules, kids quickly were falling into the color and playing by their own rules. Once one kid was inspired to make a ‘snow angel’ then they were all rolling around in the color. The actual twister part of the game lasted for a total of about 5 minutes… however; I do think that it would have lasted longer had there been more room to move, by just using the lawn as the color powder mat. But – the fun is what mattered! Color started flying and the war had begun before we even knew what was happening. 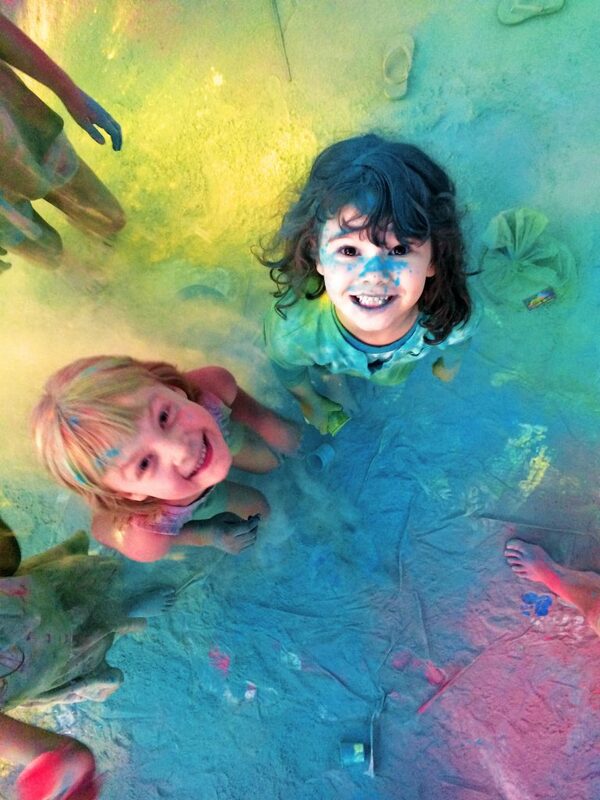 Kids were covered in color from head to toe! They were scooping it off the ground then throwing it over and over again. Kids chased each other followed by a cloud of their own color! 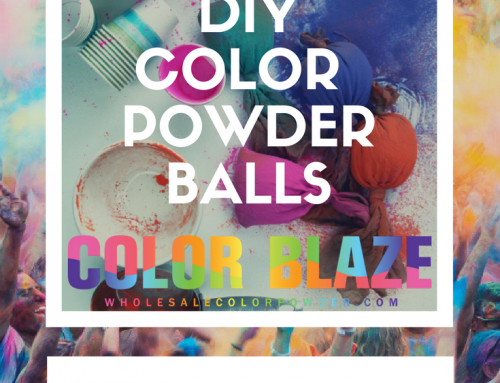 Now that’s fun with color powder! 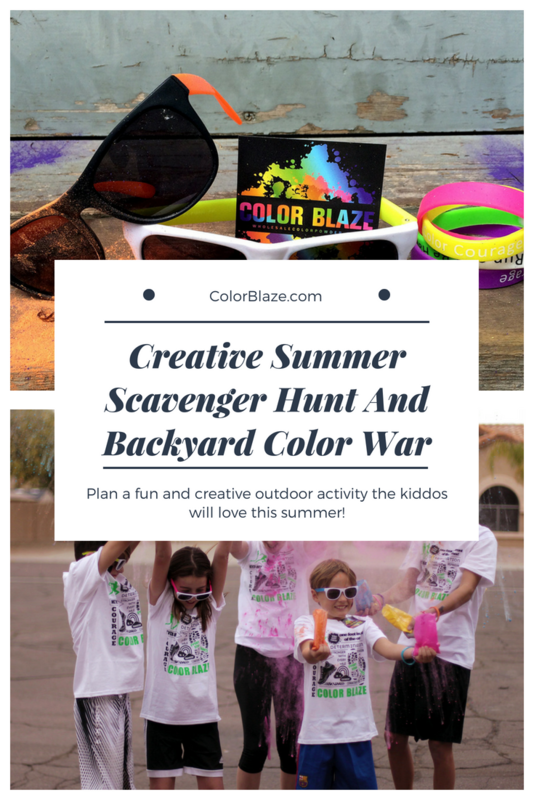 Parents were standing by snapping pictures from a distance until one brave six year old swooped in and promoted them from spectators into color warriors! 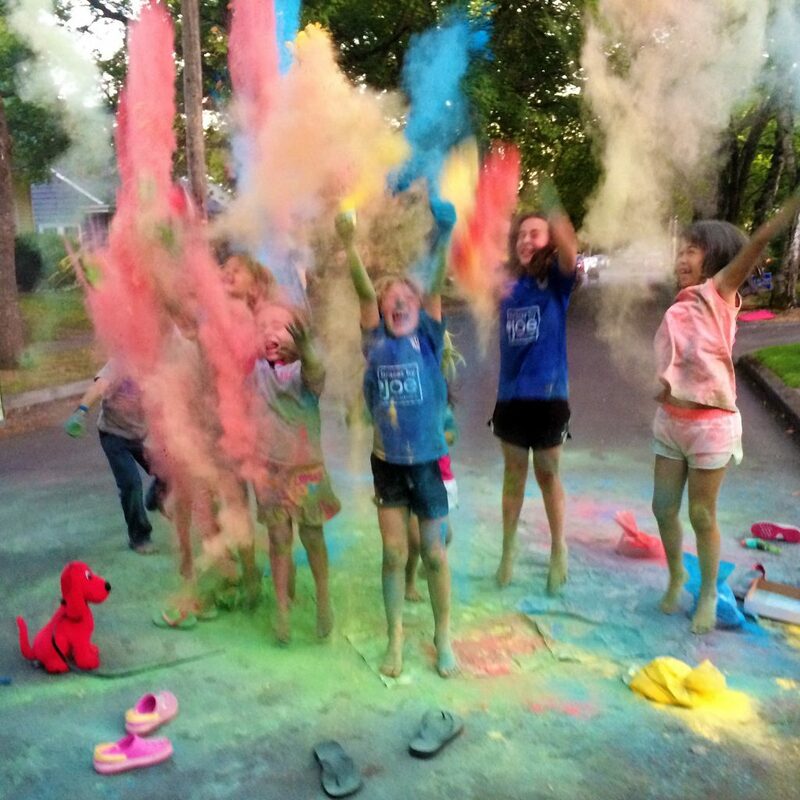 Everyone (kids, grown ups, dogs and stuffed toys) were drenched in color and having so much fun with color powder! 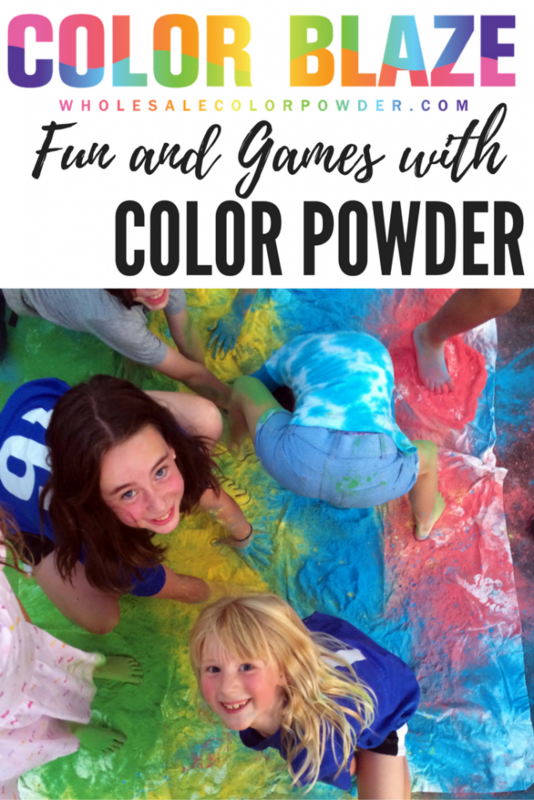 The neighborhood had to be shooed home once it was dark and everyone was begging to know when they could play Color Powder Twister again! Block party success!